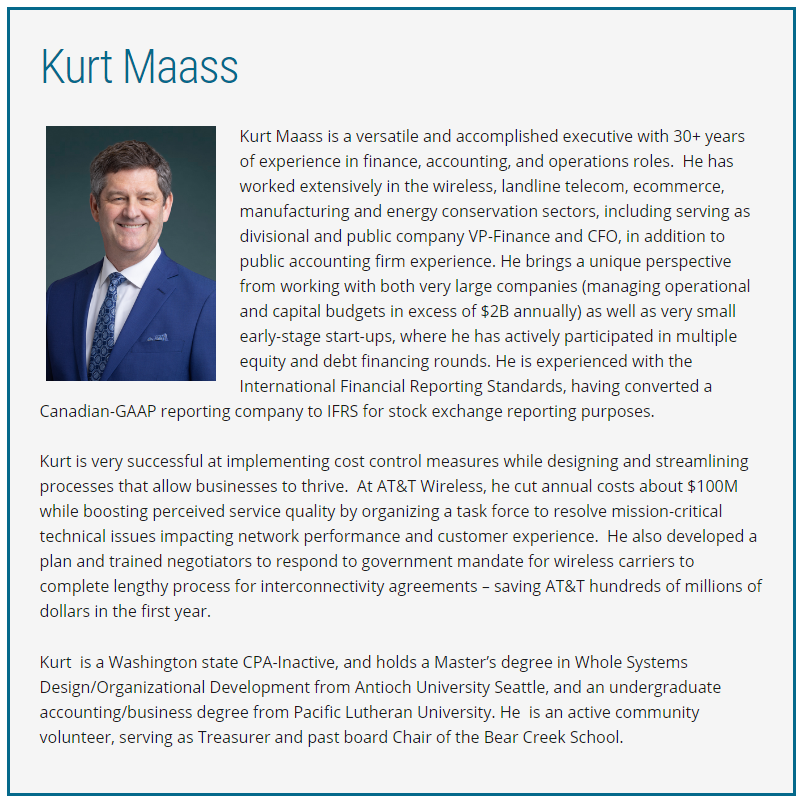 Kurt Maass is a versatile and accomplished executive with 30+ years of experience in finance, accounting, and operations roles. 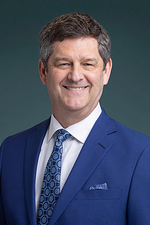 He has worked extensively in the wireless, landline telecom, ecommerce, manufacturing and energy conservation sectors, including serving as divisional and public company VP-Finance and CFO, in addition to public accounting firm experience. He brings a unique perspective from working with both very large companies (managing operational and capital budgets in excess of $2B annually) as well as very small early-stage start-ups, where he has actively participated in multiple equity and debt financing rounds. He is experienced with the International Financial Reporting Standards, having converted a Canadian-GAAP reporting company to IFRS for stock exchange reporting purposes. Kurt is very successful at implementing cost control measures while designing and streamlining processes that allow businesses to thrive. At AT&T Wireless, he cut annual costs about $100M while boosting perceived service quality by organizing a task force to resolve mission-critical technical issues impacting network performance and customer experience. He also developed a plan and trained negotiators to respond to government mandate for wireless carriers to complete lengthy process for interconnectivity agreements – saving AT&T hundreds of millions of dollars in the first year. Kurt is a Washington state CPA-Inactive, and holds a Master’s degree in Whole Systems Design/Organizational Development from Antioch University Seattle, and an undergraduate accounting/business degree from Pacific Lutheran University. He is an active community volunteer, serving as Treasurer and past board Chair of the Bear Creek School.